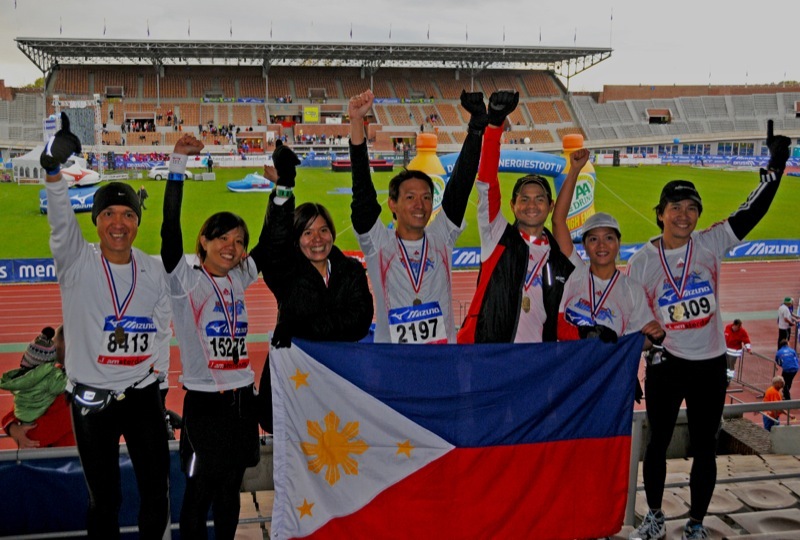 Last Sunday, Oct. 18, while plenty from Cebu joined the Quezon City International Marathon, seven of our fellow members from the Cebu Executive Runners Club (CERC) travelled all the way to Europe to join a major marathon race. The Amsterdam Marathon is acknowledged as one of the most popular of road races in Europe. The results of our fellow Cebuanos? Excellent! All of them posted Personal Best (PB) times. The team was led by Dr. Vic Verallo, one of Cebu’s top dermatologists, who posted a speedy time of 4:20:50. He was followed by ASAP Advertising top honcho Meyrick “Jacs” Jacalan who posted a fast time, despite nursing a foot injury, of 4:21:14. Next, it was first-time marathon Andrew Ong who clocked 4:24:23. Then, Jane-Jane Ong, who runs the famous Leona Pastries outlets in Cebu, finished in 4:29:12. Next was Jane’s sister, Nica, at 4:29:54. They were followed by Dr. Albert Santos, a veteran of three marathons (Hong Kong, Singapore and Milo), who also finished in his PB time of 5:03:34. Finally, there was Perl Jacalan who finished the 21K in 2:17:36. CONGRATULATIONS!!! !